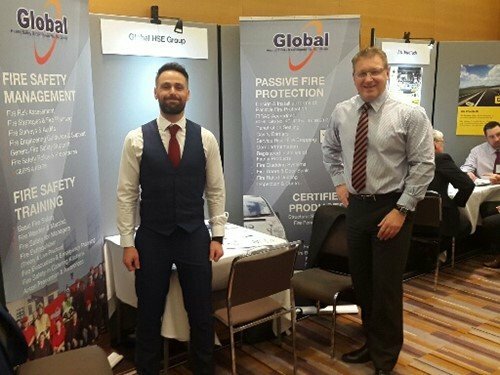 Global HSE Solutions attended the Occupational Safety & Health Forum a platform so that senior Health & Safety Managers can meet directly & privately with specialists from the supplier market to assist with the requirements & current forthcoming safety investments. Structured & Pre-arranged meetings 2 weeks prior to the event, OSH begin the matching process. Both buyers and suppliers make selections on who they would like to meet; from this OSH create each personalised itinerary. They provide each buyer with detailed information on our company & service/product – enabling them to research and select who best fits with their requirements. We are also asked to create a wish list of the buyers that we would like to meet and introduce our product/services directly to. Fantastic networking opportunities There are additional networking opportunities throughout the event to give us the chance to connect with all buyers attending. Each package includes all the essentials – Our meeting area with furniture etc (which you attach marketing material), detailed information on all buyers, Wi-Fi, all meals/refreshments and buyer contact database post event. All we need to do is bring our best representatives.